Hello all! 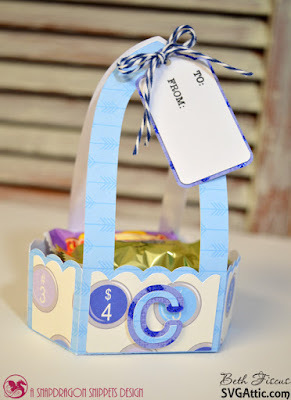 Today is my day to post on the SVG Attic blog and I am sharing the May Day baskets I created for my boys! These baskets were a great use of seasonal files that had nothing to do with this occasion. 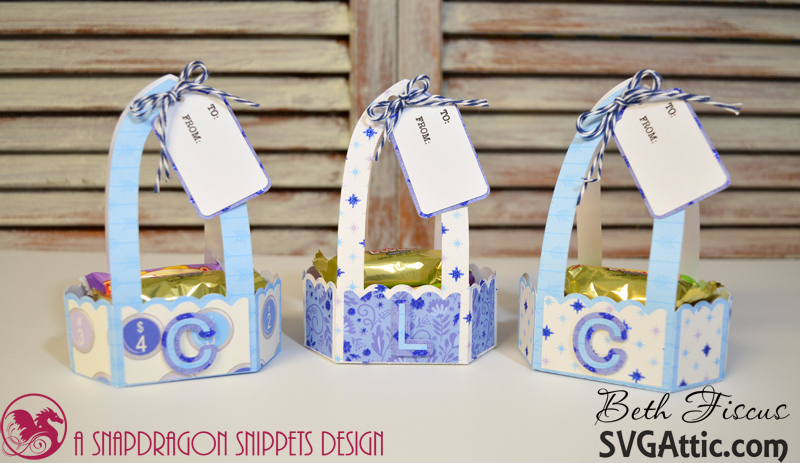 The basket file is from JGW Easter Eggstraordinary and I used the smaller basket in that kit. I omitted the liner inside the basket so it could hold more candy. The monogram on the front was created by using the top two layers of the SDS Nested (Layered) Alphabet. I kept the proportions of the letters and made the shadow layer 1" tall and that was the perfect size for the front of the basket. The final addition was a tag from JGW Made of Snow (Smooth Sledding tag) which I resized to 2.3" wide. I cut everything using DCWV's Marquee stack. 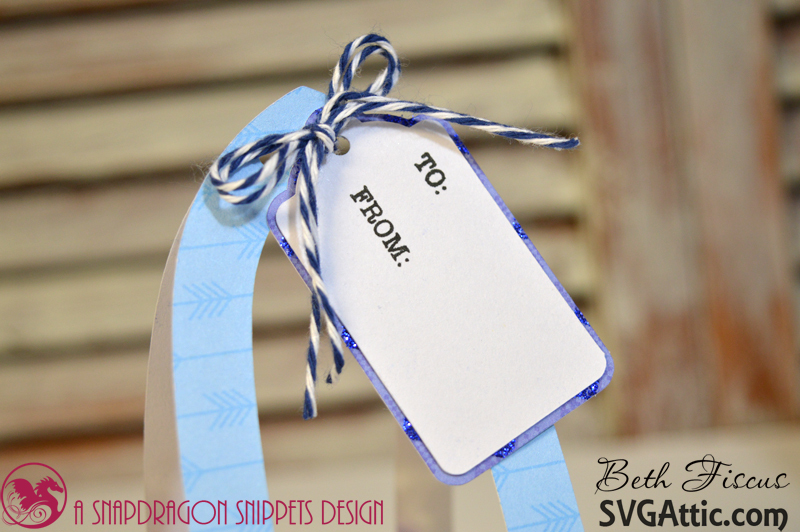 A double bow of In The Navy Trendy Twine attached the tag to the basket. There is one more week until May Day. What will you create? Your baskets are absolutely adorable! I love that paper stack (which I have but never used) and those tags look awesome tied with the TT.